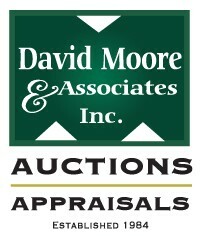 David Moore & Associates Inc. Auctions & Appraisals has been a reputable auction and appraisal business since 1984. In 2011, David Moore & Associates launched the online auction service through the Rapid-Sell name and website. Although live on-site auctions may still be held, more and more clients are preferring to host auctions on-line through our Rapid-Sell.ca website. The difference between a live auction and an online auction is simply the method in which the auction is brokered. A live auction happens at a certain location — usually an auction house, stockyard, or estate, while an online auction takes place via the Internet. The disadvantages of live auctions include lack of accessibility, as you must travel to the auction to participate, and expense, as holding a live auction can be costly to the seller. Online auctions, allow people from all over the globe to participate. This helps to lower overall prices for both the buyer and seller.